Hand, foot, and mouth disease (HFMD) is a significant public health issue in China and an accurate prediction of epidemic can improve the effectiveness of HFMD control. 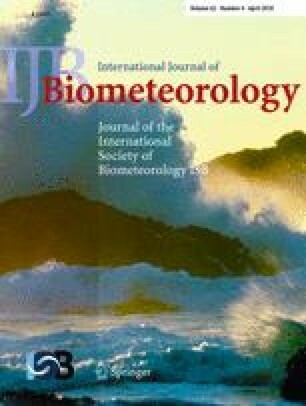 This study aims to develop a weather-based forecasting model for HFMD using the information on climatic variables and HFMD surveillance in Nanjing, China. Daily data on HFMD cases and meteorological variables between 2010 and 2015 were acquired from the Nanjing Center for Disease Control and Prevention, and China Meteorological Data Sharing Service System, respectively. A multivariate seasonal autoregressive integrated moving average (SARIMA) model was developed and validated by dividing HFMD infection data into two datasets: the data from 2010 to 2013 were used to construct a model and those from 2014 to 2015 were used to validate it. Moreover, we used weekly prediction for the data between 1 January 2014 and 31 December 2015 and leave-1-week-out prediction was used to validate the performance of model prediction. SARIMA (2,0,0)52 associated with the average temperature at lag of 1 week appeared to be the best model (R 2 = 0.936, BIC = 8.465), which also showed non-significant autocorrelations in the residuals of the model. In the validation of the constructed model, the predicted values matched the observed values reasonably well between 2014 and 2015. There was a high agreement rate between the predicted values and the observed values (sensitivity 80%, specificity 96.63%). This study suggests that the SARIMA model with average temperature could be used as an important tool for early detection and prediction of HFMD outbreaks in Nanjing, China. The online version of this article ( https://doi.org/10.1007/s00484-017-1465-3) contains supplementary material, which is available to authorized users. This study was supported by the Priority Academic Program Development (PAPD) of Jiangsu Higher Education Institutions and Jiangsu Government Scholarship for Overseas Studies. This study was approved by the Ethical Committee of Nanjing Medical University.